We love watching the Throwback Brewery farm come to life this time of year! Although we are mostly known for being a brewery and a restaurant, our farm is really at the heart of everything we do — enabling us to work towards fulfilling our vision of living the embodiment of our name (a Throwback to slow flood) and being a model for Full Circle sustainability. 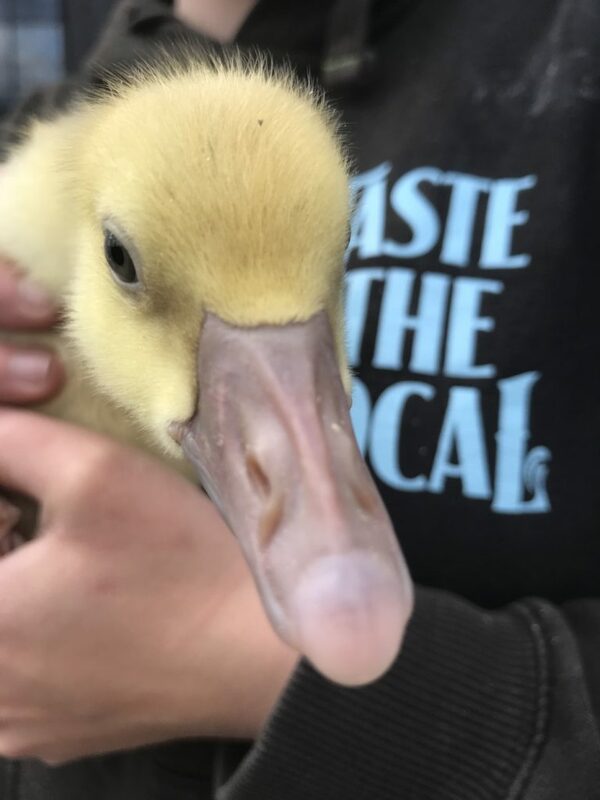 Since so many exciting developments have been happening at our farm over the past month or so, we thought it was time for an update, so read on for more info on the latest additions to our farm and fields! 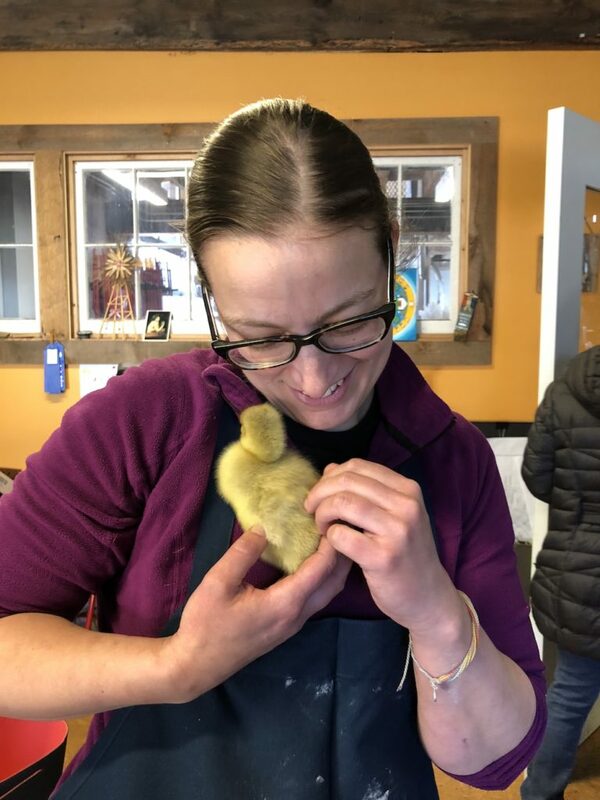 Chef Carrie loves her gosling! 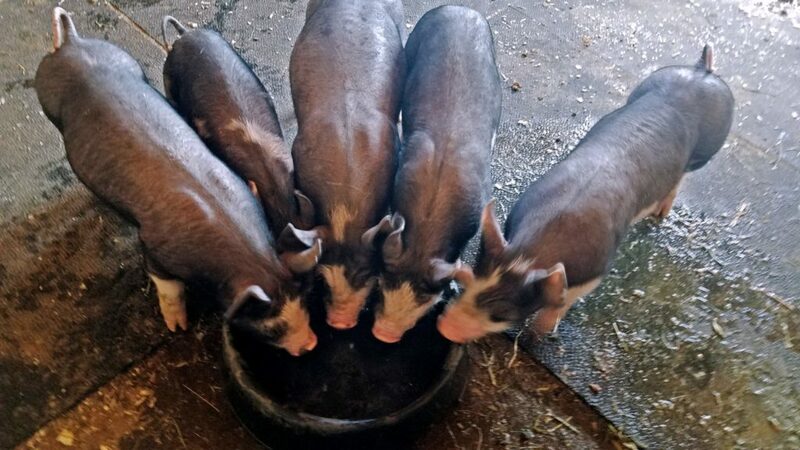 In addition to our new flock of birds, we also welcomed five adorable, heirloom breed piglets: Chaga, Oyster, Truffle, Chanterelle, and Pork-cini! 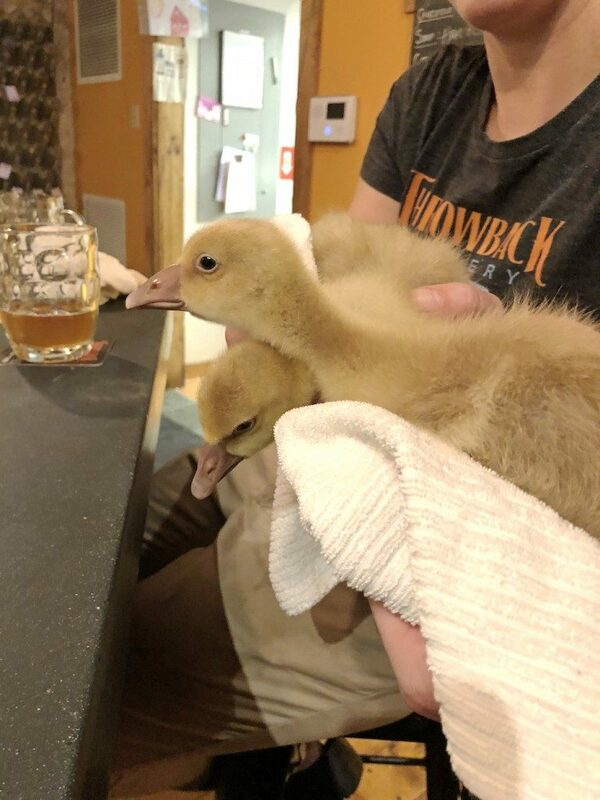 You might be able to glimpse them while you are enjoying some beer and/or food in our beer garden. They are hard at work in the fields rooting up our soil and producing lots of nutrients for our flower beds. While it’s thrilling for us to expand our menagerie of animals, we think our farmers are actually more thrilled about our new drip irrigation! Last November we installed a well, and a few weeks ago we finished the piping. As such, we now have four watering stations, which translates into very happy farmers (who used to have to drag hoses out to water crops) and more yields as we will now have regular, consistent irrigation to the hop yard, orchard, and produce. All kinds of mushroom pigs! Finally, this year we have expanded our farmed area to more than 2 acres for our produce, which now includes blueberry bushes, currants, and grapes. We’ve also planted flowers where the pigs lived last year, so the soil is, shall we say, extra fertile! If you want to chat with one of our farmers, you can find them working the Seacoast Eat Local’s weekly farm markets – Thursday in Exeter from 2:15-6pm in Swasey Park and Saturdays in Portsmouth from 8am-1pm. We bring filled growlettes you can swap out for your empty ones, and also plenty of cans for sale, plus our very own Hobbs Farm Beer Mustard and Blueberry Apple Jam! Hope to see you there!